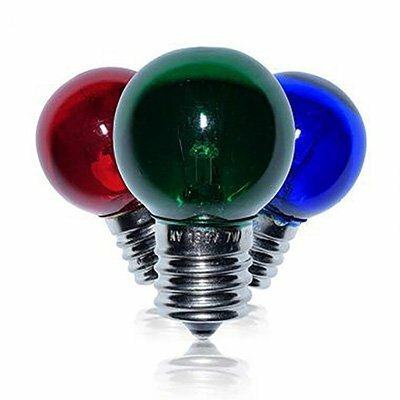 Our selection of C7 incandescent bulbs come in transparent, triple dip, and ceramic finishes in both solid and twinkle options in 10 brilliant colors. Our selection of C9 incandescent bulbs come in transparent, triple dip, and ceramic finishes in both solid and twinkle options. Our selection of G30 incandescent bulbs come in a transparent finish. Great for patio use. Our selection of G40 incandescent bulbs are great for patio use and decorative fixtures. Great for a vintage look. 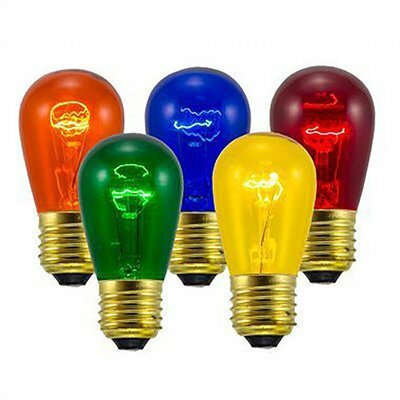 Choose from our selection of G50 bulbs. Use year round for patio and garden lighting. 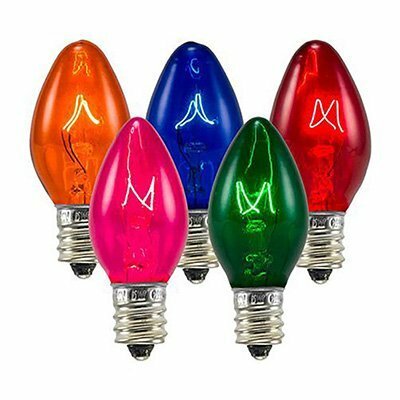 Great for wedding lighting. 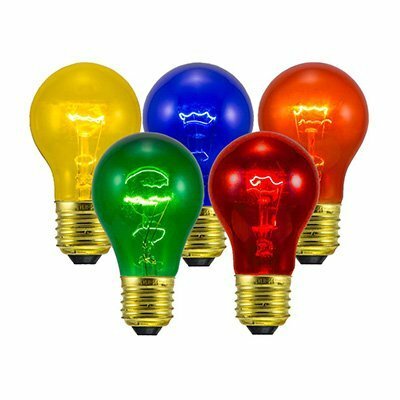 Choose from our selection of A19 incandescent bulbs in 8 different colors. 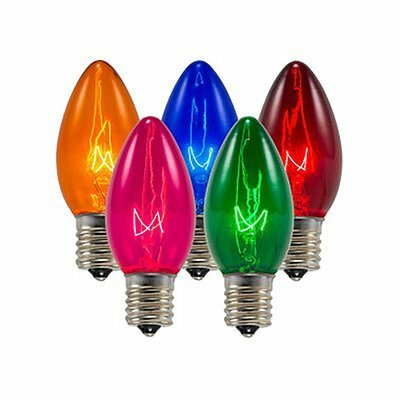 Shop A19 incandescent bulbs today! 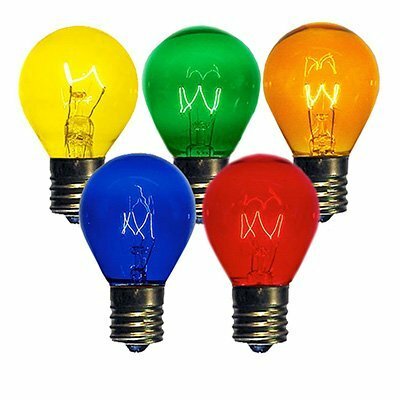 Our S11N incandescent replacement bulbs in six brilliant colors have a C9 base and come in boxes of 25. 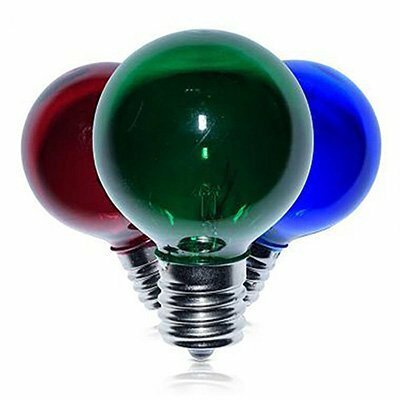 Choose from our selection of S14 incandescent bulbs in 9 gorgeous colors. 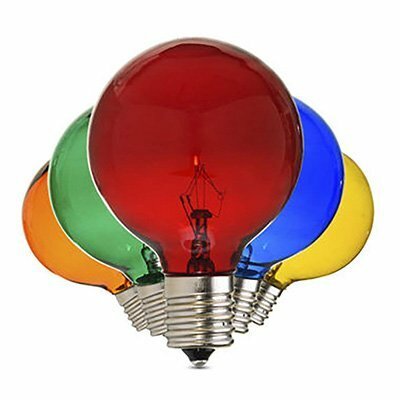 Great for event lighting!